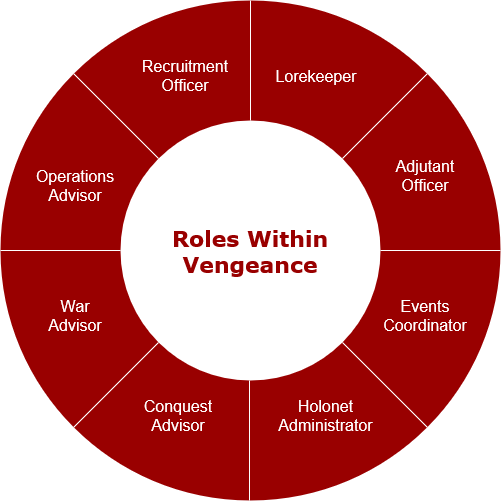 Vengeance is a special task force established by order of Empress Acina after the fall of the Eternal Empire. Our task is to ensure that the new galactic union is not undermined by those who seek to betray the Empire's trust, whether they be former Imperials who have defected to the Republic through the Alliance or Alliance members who seek to use their resources against us while pretending to work alongside. Our resolve to follow the Empress' commandments is unshakable: we will bring death to those who betray the Empire. 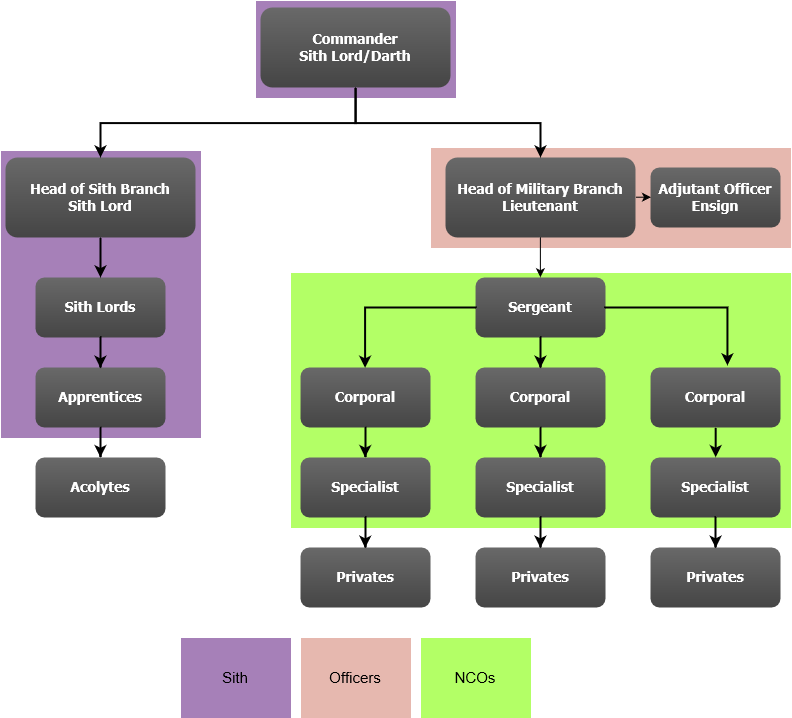 Although the task force is separated into two administrative branches, organisation within this is flexible — with branches able to join together or split into smaller units depending on operational parameters. Overall, though, our two core branches are Sith and military. At this moment in time we do not have an internal intelligence branch, relying instead upon Imperial communications. The task force itself is commanded by Lord Mebeth, by the Empress' commission. The Sith branch is currently led by Lord Vodil and follows the traditional hierarchical order. The military branch is currently out of action, but will be commanded by a lieutenant when commissioned. Each squad under them will be led by a sergeant, with all the usual subordinate ranks. Having individually worked with the Eternal Alliance for several years, we value the cooperation of those within (or formerly within) the Republic and are willing to work with such individuals to maintain the atmosphere established on Odessen. We only seek to take action against those who act against us during this time of galactic truce. Lord Mebeth believes that individual merit is all that defines our worth. In this regard, the task force welcomes all, regardless of species or heritage. Individuals wishing to join the task force will be subject to a thorough background check, but should they have nothing to hide, it is the willingness and capability to fight our shared enemies that will lead to acceptance. Aside from typical day-to-day duties, there are several administrative roles within the task force that any may apply for, provided they are suitably qualified. These are displayed in the image below, but detailed information on each role may be found here. If you wish to join the task force, please contact our recruitment officer Lord Vodil at his holonet address (Vodil). Detail why you wish to join and list any relevant experience. Lord Vodil will then be in touch to arrange an interview. If you just want to talk to us or ask a question, feel free to visit the guest lounge. If you represent another organisation — not necessarily within the Empire — and wish to suggest a collaboration or otherwise communicate with us, please contact Lord Mebeth directly at her holonet address (Mebeth). Again, if you just want to talk to us or ask a question on behalf of your organisation, feel free to visit the guest lounge. We play on The Progenitor server.